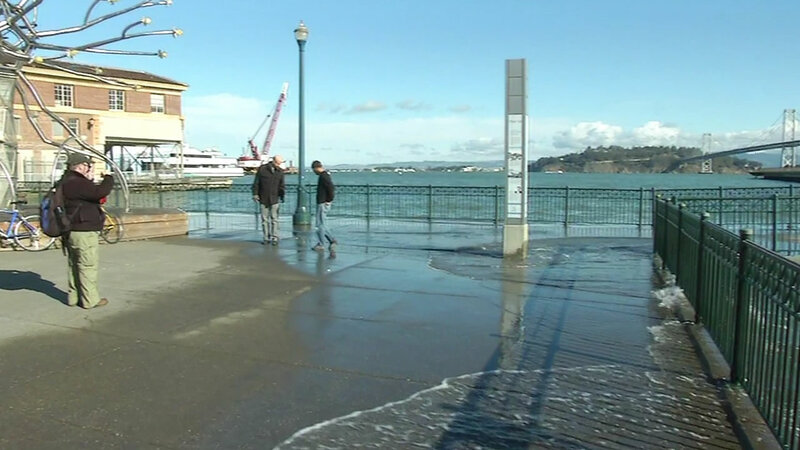 SAN FRANCISCO (KGO) -- King tides began Wednesday and will continue through Saturday. In San Francisco along the Embarcadero water was lapping up over the piers. 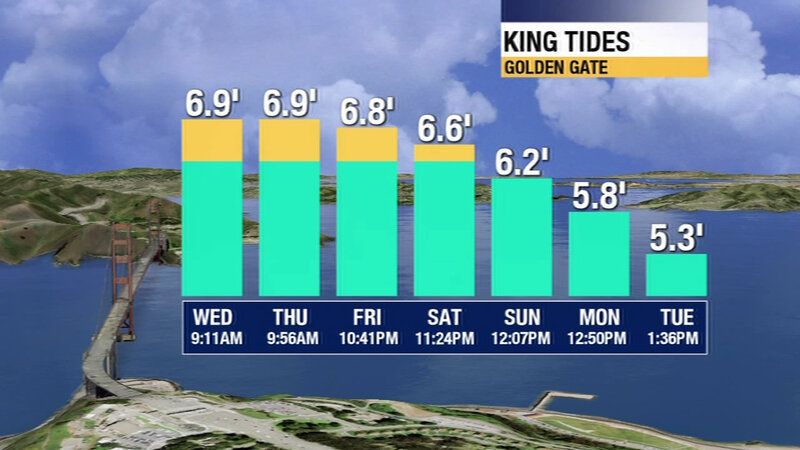 The king tides will reach near seven feet in height Thursday and Friday morning.